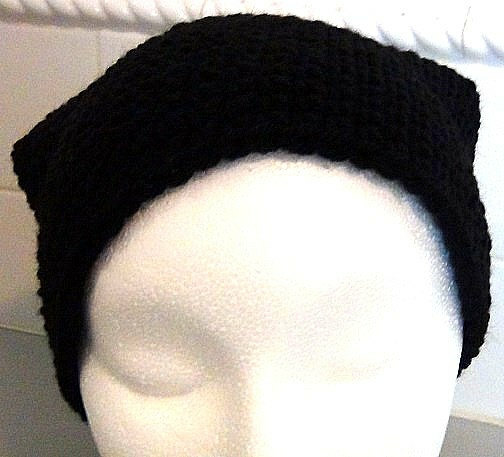 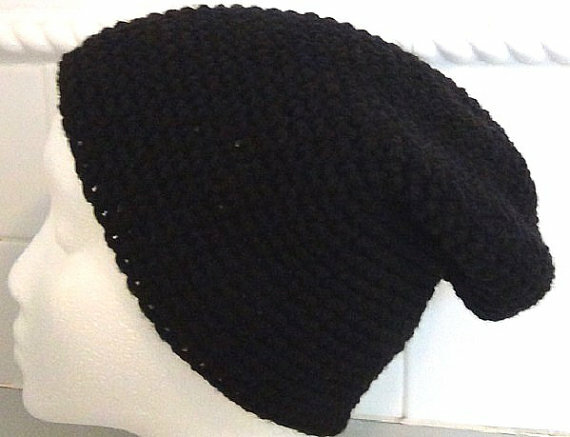 This black slouch hat made in jet black is perfect for young adults and adults alike. The perfect gift for men. 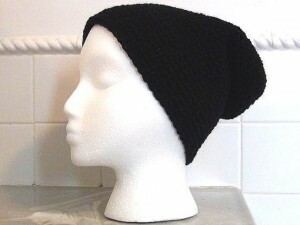 Whether worn as a slouchy with brim down or as a cap with brim up – it wears well either way. 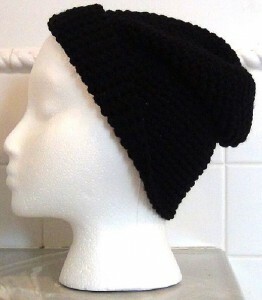 Use for winter wear or year round. Crocheted with 100% pure acrylic makes this head cover a completely easy care item. It’s great! This item was only listed for 7 days before it SOLD at Etsy.com, today on December 14, 2013. 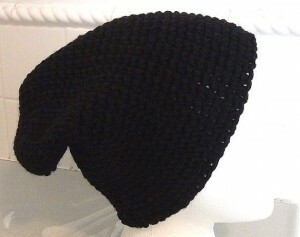 This item has been re-listed on Etsy.com, today, December 16, 2013.